When a business welcomes 5,000 visitors through its doors in its first year and never makes any money from those visitors, that’s usually a sign that things are not going to work out. But for the staff at TechPlace, an innovation space led by the Burlington (Ontario) Economic Development Corporation, they see their Year One as a resounding success. TechPlace is where tech entrepreneurs and technology companies in the area go to scale their businesses, with free-to-use meeting rooms, “hot desk” open collaboration work stations, and event spaces. Tech Place also houses six “LaunchPad” offices, which serve as incubator or accelerator space for startup companies offered at a subsidized rate for 6 to 12 months while they get started and grow before they move on to commercial space nearby. The space is funded by individual and corporate partners, and since TechPlace’s space and services bring in only modest revenue, determining success looks quite different than a typical business or co-working space. Some of TechPlace’s key performance metrics include where visitors come from, what their business is defined as or what category they fall into, and why they’re visiting. 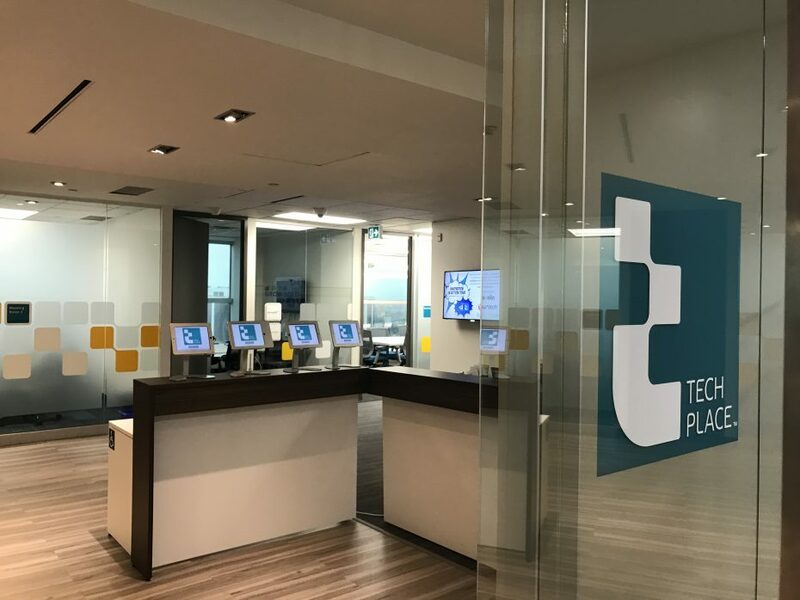 And so, after welcoming 5,000 visitors through the doors in the year after opening in June 2017, TechPlace staff not only knew they had a good thing going, but they also realized that to prove that things were going well, they’d need a better way to track and report on their visitor statistics. “When we started, we were tracking everyone in an Excel spreadsheet. We also used SurveyMonkey, and SurveyMonkey is not a user management system. … What we were doing was not working out the best and was not very successful,” Weese said. “We just got so busy, and we needed something that was more automated and more tech-forward. Our name is TechPlace, and people expect us to be tech-forward. Weese began researching digital visitor management options, and even considered working with a company to build a custom solution. However, she also found The Receptionist for iPad and started a 14-day free trial. It didn’t take long after for Weese’s search for a visitor management system to end. “Once we found The Receptionist and played around with it, it was the only thing I focused on because of how much I could easily customize,” Weese said. With The Receptionist for iPad, Weese found that she was able to quickly and easily create different check-in buttons for each visitor type, as well as customized user flows depending on why a visitor was at TechPlace. Because TechPlace has visitors for many different reasons, having the ability to not only create custom user flows, but also have them make sense for visitors was what ultimately convinced Weese she had found the perfect solution. “The Receptionist makes our check-in process run virtually on its own,” Weese said. “Our LaunchPad startups and other visitors can come in at all hours and check in, and we have a record of their visit. It has increased our accuracy to report on our visitors. You can’t miss our Receptionist setup when you walk in, and everyone uses it to check in.